The new 'original' IBM buckling spring, Model M keyboard is regarded as a timeless and durable piece of hardware. 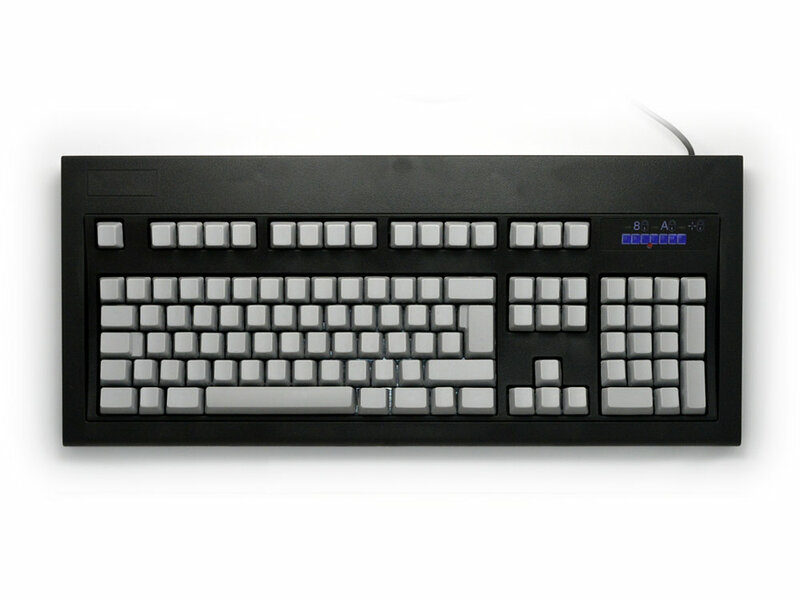 Many units manufactured since the mid 1980s are still in use today, with a buckling spring key design and fully swappable keycaps, these keyboards have been prized by computer enthusiasts and heavy typists because of the tactile and auditory feedback resulting from a keystroke. This is blank with no printing on the keys, it has a 105 key UK/EU ISO layout, in black with a USB connector.